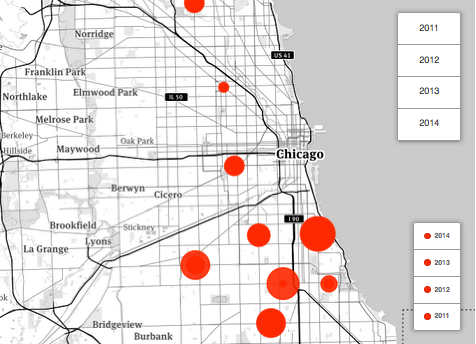 Client Loads and Staffing levels at Chicago’s Public Mental Health Clinics (January 2011 and present). While the number of total staff equates roughly to the drop in total client load, the drop in number of psychiatrists in the system has been precipitous. Map by Penny Wang.